Multinationals are moving out of their traditional office set-ups and are experimenting with teams working from co-working centers. Mainstream corporates are now the prominent demand drivers for flexible working spaces in India. But the trend is driving a bigger impact of organisations rapidly shaping up their own offices to recreate creative, collaborative spaces. 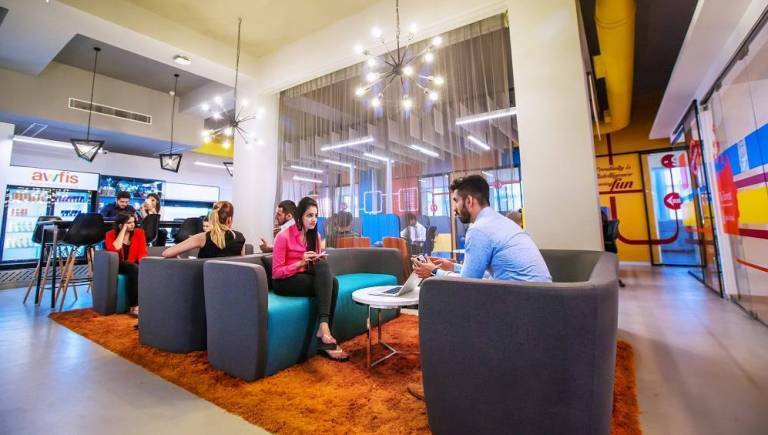 According to a recent JLL Research Report, Emerging Trends in India’s Office Sector, several companies have facilitated their teams to work out of co-working centers, thereby, reaping the benefits in terms of cost and time savings. Inspired by the trend, forward-looking organisations have started offering a flexible and creative environment to their workforce within their offices. And as the human experience continues to gather momentum in driving workplace innovation, agility and creativity, having a flexible new age working environment has now become a strategic lever to attract and retain talent, enhance collaboration, boost employee’s productivity and wellbeing. As many as 56 percent corporate real estate leaders (CREs) in India believe that increasing the flexibility and agility of people and their real estate portfolios remains a priority in achieving their human experience goals. And this is above the global percentage of CREs, which is at 48 percent, according to a recent 2018 Future of Work JLL survey. An increasing number of co-working spaces in the country is therefore an indication that the trend is here to stay. And companies will continue to look for ways to reward their employees with flexible and healthy workplaces.What do stats say? There has been a steady rise in spaces dedicated to flexible workspaces in India. The report further states that new offices that are being created in tier II and III cities in India such as Jaipur, Chandigarh, Pune, Ahmedabad and Kochi are mostly operating on a flexi workspace model. Demographic profile of workforce available in these cities, paucity of ready Grade A spaces and nature of businesses have led to this shift in approach against the conventional offices. Another JLL survey has said that around 40 percent to 45 percent of the business opportunity to occupy the available flexible office space in the country is with mainstream corporates and large firms. In India’s top cities, Delhi National Capital Region, Mumbai, Bengaluru and Pune, flexible work spaces are likely to lead to cost savings in the range of 20 percent to 25 percent when compared with traditional leased office spaces.What does it mean for the industry? These stats prove that corporates have large amount of space in the form of co-working spaces, to use and experiment with. However, corporates cannot always rely on co-working centers across newer regions and new expansion areas. They need to have their own set-up that provides the same level of flexibility, if not cost and time saving in terms of a daily commute to the office, facilitating a certain level of governance and control. Fortunately, the latest trends in the office segment suggest that big companies are consolidating in terms of space use. They now prefer a big campus instead of a number of small offices. Such a consolidation opportunity can always be utilised to transform the offices into something that enhances the human experience. It is likely that the trend will increasingly capture the minds of office administrators, strategy heads and CEOs/MDs of companies. They will continue to evolve with the passage of time. With this, the role of all stakeholders involved will become increasingly vital for the industry. As MNCs move out of their traditional office set-ups, family-run Indian companies, and small and medium enterprises will also bring that professionalism along with flexible workspaces.